Accumulator bets are fast becoming one of the biggest sources of long-term profits when it comes to matched betting. Almost all of the leading UK bookmakers now offer accumulator offers, such as refunds or “acca insurance”. For example, you might be able to place a six-fold accumulator bet and get a refund if one of your selections lets you down. 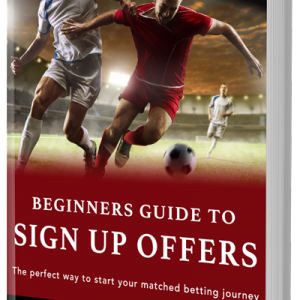 Sometimes you may even be offered a free bet in that scenario, which can be hugely lucrative for matched bettors – providing you know what you’re doing. Accumulators are great for all kinds of sports. Soccer and tennis are two of the most common acca-friendly sports as there is normally an abundance of matches daily. Don’t forget other big sports across the pond in the US, such as baseball and ice hockey. In baseball, the regular season consists of 162 games for each team. With 30 teams across the American League and National League, that equates to 2,430 games to use for accas. Meanwhile in ice hockey, to become the odds-on hopefuls to win the Metropolitan Division or the Atlantic Division, teams have to play upwards of 80 games in a regular season just to try and qualify for the Stanley Cup playoffs. On the whole, accumulators are considered a low-risk, high-return bet. This allows you to land a huge payout from very modest stakes. You can take out the risk of an accumulator bet entirely by making the most of the bookies’ accumulator refund and insurance offers. This allows you to generate profits on every single acca you place. The terms and conditions stipulated for accumulator insurance offers differ from bookie to bookie. But by and large, they will offer to refund your initial stake as a free bet if one acca selection lets you down. The key for any long-term matched bettor is to keep your bookmaker accounts active and free from being “gubbed”. If you are gubbed, your account is disqualified from any potentially lucrative promotions offered by that bookmaker. Bookmakers generally view punters that place regular accumulators as non-matched bettors, given the low percentage chance of each acca winning. By employing the following acca insurance strategies it is possible to deceive the bookies and keep them onside, whilst earning you money from every accumulator you place. In order to ensure your accumulator has the best possible chance of winning outright or just one selection of the acca losing, it’s important to include the most suitable selections for your acca. Ideally, your acca selections should amount to the lowest possible combined odds allowed by your bookie. If the minimum combined odds for an acca insurance offer is 4/1, try to combine selections that will add up as close to 4/1 as possible. Undoubtedly, the easiest way to extract value from these acca insurance offers is to pick a winning accumulator. You don’t have to do anything other than picking up your winnings from the bookmaker. If you let your accumulator bet ride and opt not to lay off any of your selections on a betting exchange you won’t receive any winnings or a refund if more than one of your acca selections fail you. The second-best option you can hope for after a winning acca is that only one selection loses. This allows you to receive a refund of your initial stake as a free bet. Using basic matched betting techniques, it should be possible to generate a profit of around 80% from this free bet. To give yourself the best chance of winning an acca or having an acca with just one failed selection, you’ll need to dedicate time to researching games and pinpoint teams that have the best possible chance of winning. This method is also the most natural way to extract value from acca refund offers in the eyes of the bookies. The second matched betting strategy for accumulator refunds is to lay all of your selections in the acca before they kick off. It is a relatively simple process, requiring you to sign up and register an account for a betting exchange and laying your selections. A lay bet means that you are betting against your selection winning which covers the draw outcome too. This particular method is not risk-free, but over the long-term, it does have a positive expected value (+EV). Typically, if you lay all your selections, you will still make money from your accumulator if all selections win or if two or more lose. Only if one selection loses will you make a loss, despite triggering the free bet refund. The third and final recommended acca refund matched betting strategy is based around laying each selection one by one until a selection loses. As you will need to lay each game in-play – and after the previous game has finished – you will need to place selections that play at least two hours apart. Once one selection of your acca bet loses, you will then continue to lay your other selections using a reduced stake, until a second selection loses. Using this strategy, the only way you will lose money is if one of your selections fail you. All other outcomes will provide you with profit for your matched betting bankroll. Obviously, the no lay method is the simplest strategy. It offers you the highest potential profits and the smallest chance of being gubbed by your chosen bookmaker. However, using this technique you will have to be very effective with your selections, choosing teams or players that are strong favourites to win pre-match and least likely to choke as the favourite. Ultimately, whichever method you choose to play with accumulator offers, be sure to start practising with small stakes until you are confident applying each strategy. Once you are comfortable with each approach, you can up your stakes and really start to take advantage.